Where is your business heading? Is it well on the way to meeting both your short and long term goals, or is something lacking? While there are many talented managers running software and hardware companies, a smart executive realizes that a company can never have enough expertise. In many cases it can be difficult to formulate the perfect strategy or conduct a completely objective evaluation with a view strictly from inside the company. Results can often be enhanced by utilizing assistance from a fresh, outside view to supplement the domain expertise within the company. That’s where PJM Consulting comes in: We provide you with the perspective of someone who has “been there before” in many software and hardware companies across a broad variety of market. We specialize in working with CEOs and their senior management teams to solve the most difficult problems facing the business. We help you to avoid those very costly “first time” errors while also offering innovative approaches to optimizing your company’s structure, strategy, tactics and results. In addition to advice and consulting assistance, if you have a hole in your management team at the very highest level, we can provide an interim CEO, COO, President or Division Manager. PJM has many years of experience in building, leading and advising software and hardware companies. PJM is a source of expert advice as well as hands-on assistance, helping optimize your strategic and tactical decisions & programs to optimally grow your software or hardware business. 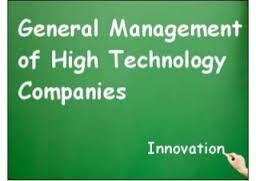 We have written many articles on general management and corporate strategy in technology companies.Our Morettini on Management Blog contains these articles and a variety of others facing technology-enabled businesses. Our domain experience includes many technology markets such as Enterprise Software, Consumer Software, Security Software, SMB software, IP Networking, Retail Management Systems, Wireless, CAD, Security, Network Management, Backup Sofware, Systems Management Software, Photography Software, CMS software, imaging/printer hardware, physical security hardware, GPS hardware and more. PJM consultants are experts at evaluating strategic strengths and weaknesses, as well as minimizing costs. Our specialty is the “tough” cases: Startups,hyper growth, turnarounds, M&A, new markets and other transition-oriented situations where market traction is critical or difficult to come by. PJM Consulting is flexible and aggressive; we can design a custom engagement to help your company quickly improve in the key areas of need. Contact PJM Consulting to discuss your General Management or Corporate Strategy consulting issues and needs today!